The academy will host an Advanced Instructor Course May 5-8, 2014. It will consist of 4 ten hour days. Attendees must be certified by TCOLE as an instructor for at least 3 years to be eligible to attend. Each student will be required to prepare a 45 minute lesson plan utilizing a variety of instructional technology and multimedia. 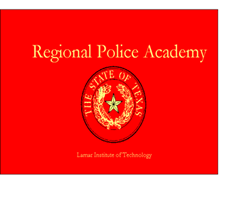 Preference will be given to those CURRENTLY teaching at the regional police academy. Others will be considered on a case by case basis if space permits. Contact the academy to determine if you are eligible to attend.